As Mind Detox Therapist, I am well aware that the work that I do is sometimes very deep and very significant and this will produce changes. On this page I intend to look at some of the changes you might experience and how best to look after yourself in the first few hours and days after a session. 1) Be patient. Many people come to me to let go of a problem that they have had for as many as 1-60+ years and want an instant cure. Whilst most people bounce out of a session beaming and already different the full impact of the session will take time to manifest fully into your life. Most cells take between days to 4 weeks to replace themselves. New cells will carry your new behaviour, but you may still have some mild symptoms as the old ones run their course. Keeping a diary is a great way to document the changes over a long period of time. My own experience also shows that a good nights sleep does wonders to help the brain process and normalise your new way of being, so make sure you give yourself the opportunity to have a good night's rest. 2) You may be emotional. Emotions = energy in motion, and are the biochemistry produced as a result of our thoughts. In order for our emotions to leave our neural pathways they must be expressed and released. This means you may be more emotional than normal after a healing session. Be aware of this and give yourself the time, space and support should that reality happen. Journalling, allowing yourself some quiet space alone, or going for a walk in nature are all good ways to allow yourself to release the habits and biochemistry of the past. Drinking plenty of water also allows any toxins that may have surfaced to be released, and eating healthy food will give you the fuel you need to move through this transitionary period. 3) You may feel temporarily sad about the past. For many a healing session makes them look at life in a different perspective. This may result in some feelings of guilt or sadness from the way you used to behave. You may realise perhaps that you let a friend down, you were overly harsh on your children or you shut out a parent unintentionally. Forgive yourself for not knowing better at the time and know that you were always doing your best. You may also feel sad or angry about the way other people treated you. Forgive them for not knowing better and know that they were only doing their best too. We are all human and we were never born with a manual telling us how to do it all. 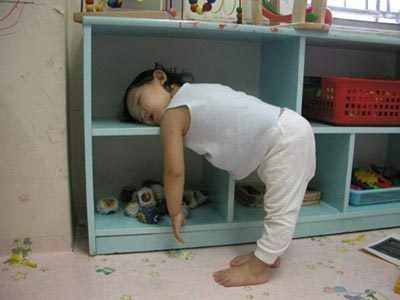 4) You may feel very tired. Healing is a cleansing experience, which may temporarily overload your brain and your detox organs as they re-organise themselves. In particular, a healing session that looks at thought patterns will require a large amount of mental concentration. Observe your experience and if it continues speak to you therapist, as there may be other underlying reasons why the tiredness is persisting. Again make sure you are getting enough good quality sleep, drinking plenty of water and eating light, healthy, fresh food full of vitamins and minerals to support your physical body as much as possible. 5) Other symptoms may arise. Many people seek a therapist to heal one or a couple of symptoms. However, in many of the cases that I have seen, these particular symptoms are "the straw that broke the camels back". This mean that there are a whole raft of other traumas or difficulties that person was carrying before their current symptoms fully got their attention. My experience is, that once you are willing to listen to your body and your emotions it may choose to tell you everything it wishes you to address. This can feel intense and overwhelming, as it would for a blind person to suddenly regain their sight. Be patient, you are going through a period of change. Things will, when they are ready, settle down to a new form of normal. Activities such as meditation, Reiki healing, long chats with friends, time with animals and writing down how you feel all help with these transitional periods. 6) You may be confused. Confusion literally means the fusion of new ideas. Confusion is actually a very constructive part of a learning journey and is a sign you are embracing something new. Often when going through a healing experience you challenge old beliefs and embrace new ones. Sometimes these beliefs can be the complete opposite of what you believed before. For example, a person that had the belief "I am hated" would potentially feel very confused when they realise in a healing session the exact opposite is true. Seeing as we see/feel/experience our world through a series of filters, when a "I am hated" filter becomes a "I am loved" the world will start to look like a very different place. In time you will adjust and forget it was ever a problem, but to start with it may feel a little confusing and strange. 7) You may be more sensitive to the thoughts/feelings/actions of others. Healing work often opens up a more spiritual connection to ourselves. People therefore can find that they become more sensitive to negative experiences and can't tolerate the same toxic environments they used to. 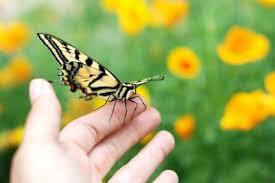 Increased sensitivity is very normal and common as you return back to your full abilities as a spiritual being. Many of us have shut down our spiritual and psychic side in order to conform to a non-spiritual society, causing ourselves much harm along the way. Those that are drawn and motivated enough to go through healing experiences are often those that are more sensitive and open to the thoughts/feelings and actions of others anyway. Honour your newly returned sensitivity by being more discerning about who you choose to spend your time with and making sure you have time and space to spend alone. Practices such as meditation and Reiki are great for helping you to better understand the world around you and will give you the knowledge to protect yourself from the potentially unintentionally harmful activities of others. Putting yourself first in these situations is not selfish but sensible till you are strong enough to be around challenging experiences and still remain internally balanced. 8) Others may not understand the journey you are on. When you come for a healing experience, it will have a ripple effect on the people around you. Partners and family may find the change in you difficult and may act up as a result. Whilst most families and partners are loving and supportive, it is important to note that change will always produce an element of fear in some. Give people plenty of time and space to adjust and they will. Similarly, whilst you may be going through a big period of change, those around you may not wish to be a part of it, or follow in your footsteps, however much you may want them to. Respect that everyone is on their own journey. Sometimes that means stepping away from someone for a period of time and sometimes it means getting closer. Trust your instincts on this, as there is no right or wrong. Trust and respect too that others are perfect just as they are and there is no need for them to change unless they wish to. 9) You might do something crazy! I remember after my first Reiki session I went bonkers (in a good way) and did something I wouldn't normally have done. It was like all the beliefs that had been holding me back had been taken away and I became a completely different person (or so it felt at the time). In truth, I was now free, balanced and no longer repressed. I had become so accustomed to my former low level of performance and energy that to be anything different felt very alien. Thankfully those around me hardly noticed at all and there was no lasting damage. 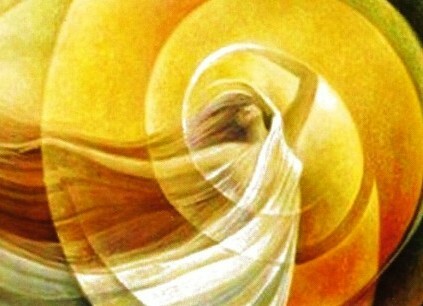 Like a spring being coiled up for a very long time and then released, you may feel or behave very differently shortly afterwards and need to let off steam. Sometimes this can be physically in terms of running around, others it can be verbally. In time this experience will settle down and your new found freedom will feel much more normal. Communication and expression of any kind is often rarely resisted by the people around when it is authentic. Being able to express all kinds of moods and emotions is one of the things that makes us human - so permit in yourself as you would others. 10) You may be deliriously happy! Not a bad experience to have at all! Once you have let go of something that has been bothering you - especially if it is for a long time, the sense of relief and happiness can be immense. Enjoy this wonderful period of positive feelings and use it to nurture other areas in your life that can benefit from some positive attention. Extend this happy period by being intentionally grateful for the wonderful things you have in your life, the people that have helped you to get to where you are and that you are alive at all. Letting go of any other resistance, fear or grievance is much easier when you are already happy and you may find yourself clearing other issues too. People often report they are able to have difficult or much needed conversations with people after a session and this is just one example of how your behaviour and therefore relationships with others will shift. Whilst I appreciate this is not an exhaustive list, it does however cover the key points and questions clients experience and ask me about. There can be some comfort in knowing that people's experiences are often very similar when going through a period of healing and there will be others out there that can empathise with the changes you are going through. Having a great support group is critical to your success and it is worth investing time and energy into making that happen. There are hundreds of local, national and global organisations that know how daunting it is to step into a new way of being and that will offer love, guidance and support. Should you need them, reach out to these people, as in my experience they are only too happy to help and pass their experience and wisdom on. And in time, that person that could be there for others and hold open the door to change and a happier way of being could be you. For that alone, I suspect the journey is worth it. 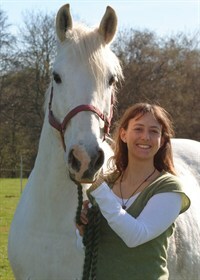 Becci Harvey is a Mind Detox practitioner, Master Reiki Teacher and Equine Assisted Learning Facilitator. From her base in Mark Cross, East Sussex she helps hundreds of people locally and all over the world overcome their life, emotional and health challenges to fulfill their potential. To find out more, or find out what up and coming courses are available you can visit Becci's professional profile here.